Sierra Madre dental office like no other! If you live or work in Sierra Madre and are searching for top quality dental care, look no further than Prestige Dental! At Prestige Dental, Dr. Bouzoghlanian and staff provide comprehensive dental care including cosmetic dentistry, dental implants, and treatment of snoring and obstructive sleep apnea. Our dental office proudly serves the Sierra Madre community and will provide you with an exceptional dental experience! For your convenience, we are located within close proximity in neighboring Pasadena with easy access from the 210 freeway. We feature the latest in dental technology including digital X-rays, ultra comfortable dental chairs, very quiet dental instruments, and modern office décor. Sierra Madre residents will appreciate different treatment options available at Prestige Dental including tooth-colored fillings and crowns, veneers, teeth whitening, complete smile makeovers, oral surgery, root canal therapy, gum treatment, TMJ therapy, sports guards, orthodontic retainers, and much, much more! 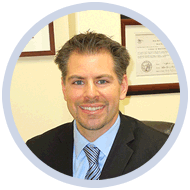 Dr. Bouzoghlanian and staff have the advanced education, skills, and experience to provide you with the top quality care you deserve! 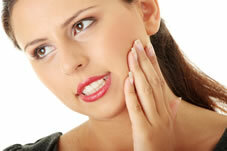 Are you experiencing a dental emergency in Sierra Madre? All treatment plans are customized for each patient. If you are considering dental implants to replace single missing teeth, multiple missing teeth, or even to retain your loose dentures, Call us at Prestige Dental! We provide complimentary consultations and have very flexible payment plans for every individual!